Eisai is to add more than 200 new contract sales representatives to its speciality business unit to scale-up promotional efforts for Belviq (locaserin HCI). 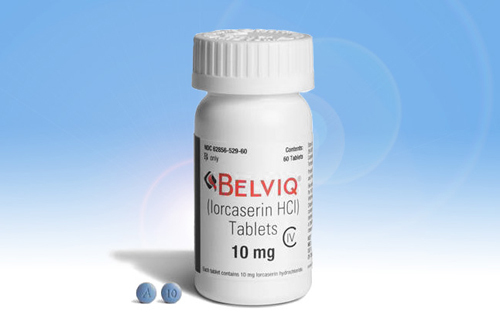 The drug last year became the first new obesity treatment to be approved in the US in 13 years, narrowly snatching the title from Vivus' Qsymia (phentermine/topiramate), which was licensed a month later by the FDA. Eisai's decision to expand its Belviq sales force, which will see rep numbers double by December 2013, follows an expansion of its coverage by several prominent health plans and pharmacy benefit managers. They include Express Scripts, Tufts, Health Alliance Plan, Excellus BCBS, Highmark BCBS, BCBS of Michigan, BCBS of North Carolina and Healthnet. Lonnel Coats, CEO of Eisai's US arm, said the company was in “very active and productive discussions with other major payors” and is confident Belviq reimbursement will further improve in 2014. The new reps will be located across the US and have been tasked with educating healthcare providers about Belviq. The rapid upscale in its sales coverage will, Eisai said, allow it to reach approximately 65,000 physicians, including primary care providers, endocrinologists, cardiovascular specialists, and gastrointestinal specialists. The increased coverage for Belviq comes less than two months after Eisai launched an online campaign to raise awareness among employers of the costs they face from workforce obesity. The company has also recently launched an online patient programme, Believe Everyday Support, whose support tools include a customisable online portal to help them reach their weight goals. Although Belviq is gaining ground in the US both it and Vivus' Qsymia have struggled in Europe, where regulators have taken a harder line on obesity treatments. Eisai's marketing partner Arena pulled Belviq's licence application in May after EMA advisors voiced “major objections” over the drug. This followed a knockback for Vivus' drug in October 2012, when regulators refused Qsiva (Vivus' preferred brand name for Europe) due to cardiovascular safety concerns.